Students of the debating club of Orion Academy captured first place at the Annual Kiwanis Club of Roseau Secondary School's Debate Competition. The competition took place on Wednesday 27th March 2013 at the Arawak House of Culture. Orion's first and second form girls defeated the Portsmouth Secondary School proposing the topic "Social Networking sites cause more harm than good." 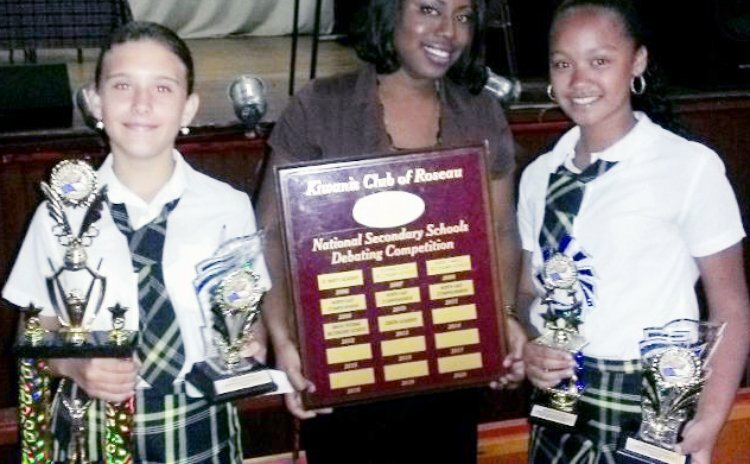 Second former Rheina Leeloy and Natalia Nassief from 1st form received 271 points while the fourth formers Devon Brewster and Annisha Aaron of the Portsmouth Secondary School received 269 points. The winners received $150 gift vouchers from Jay's Bookstore and trophies. Orion Academy also received an award for most improved school.